We saw a concept not too different from this one last week, but I thought it might be fun to compare. The simplicity is really nice. What do you think? 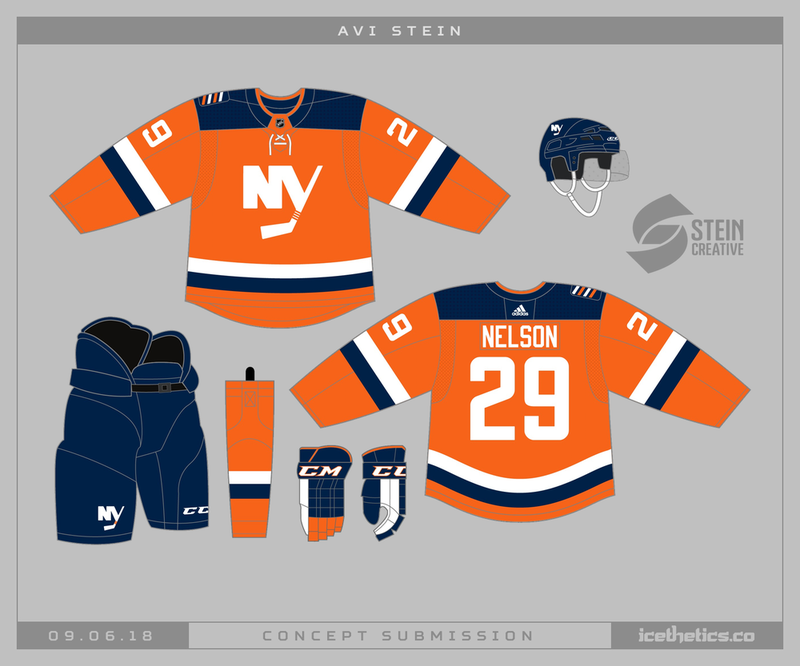 Earlier this summer, we had a report about an orange Islanders third jersey with blue shoulders. 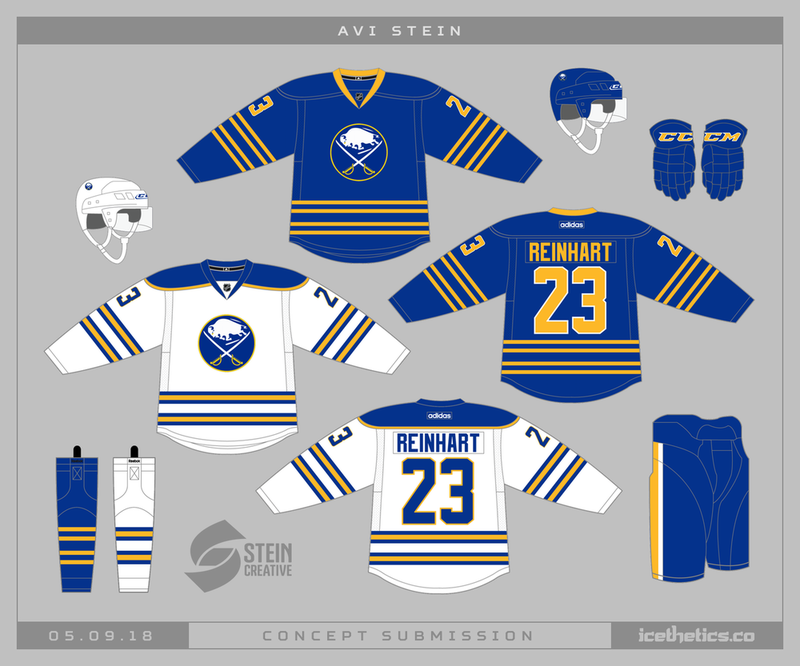 That doesn't seem to be the case anymore, but Avi Stein proves it could've been a decent look. Avi Stein presents a new Blue Jackets uniform set that's distinctly Ohio. I'm a fan! Want to know how the Buffalo Sabres can suddenly become the best-looking team in the NHL? I'll let Avi Stein explain. While we all eagerly await the triumphant return of third jerseys to the NHL, Avi Stein shares this interesting option for the Chicago Blackhawks. It's a good look!